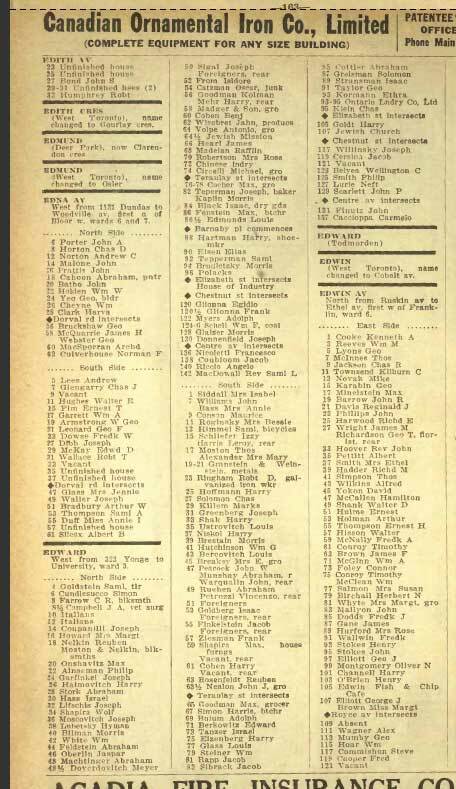 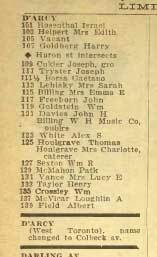 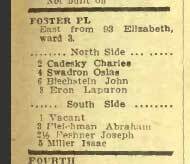 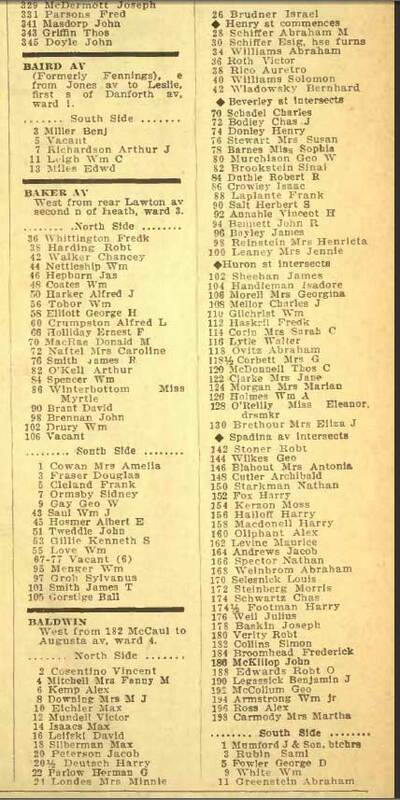 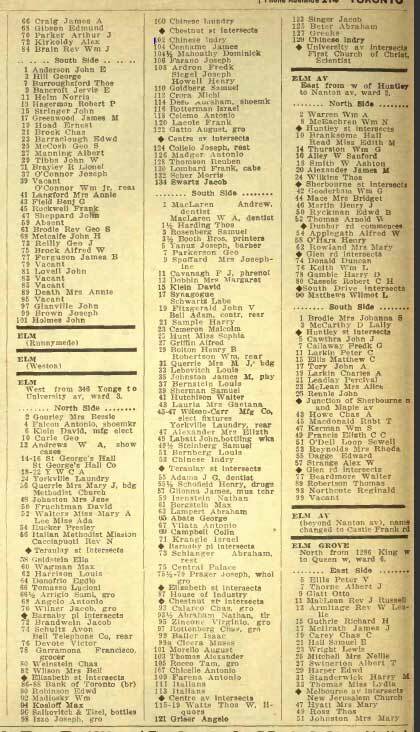 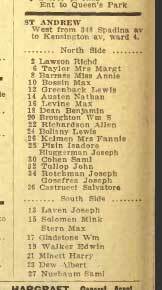 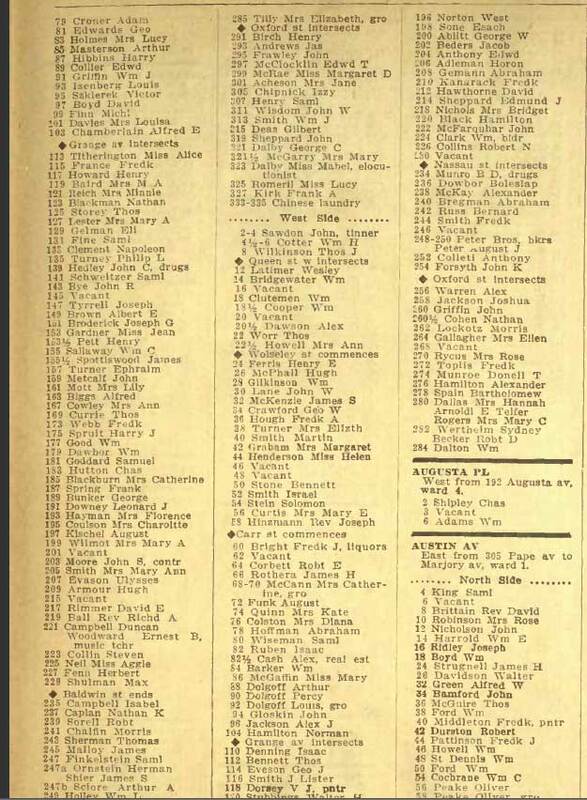 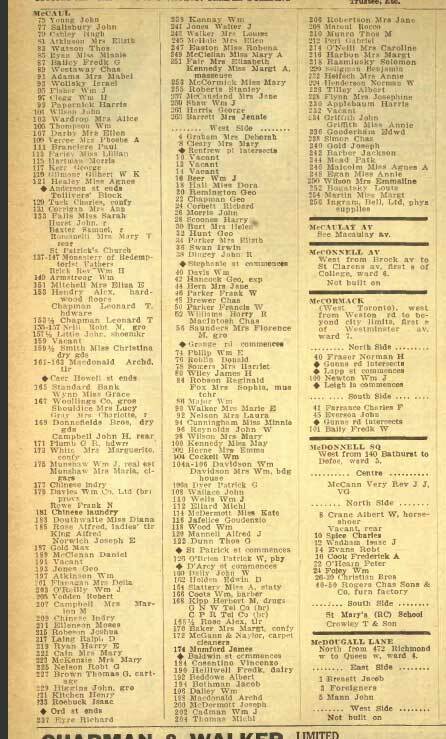 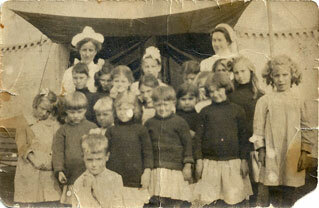 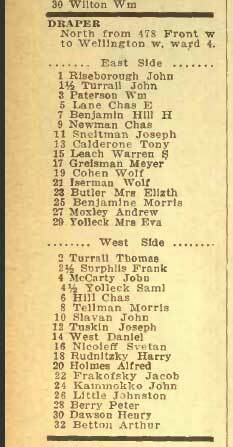 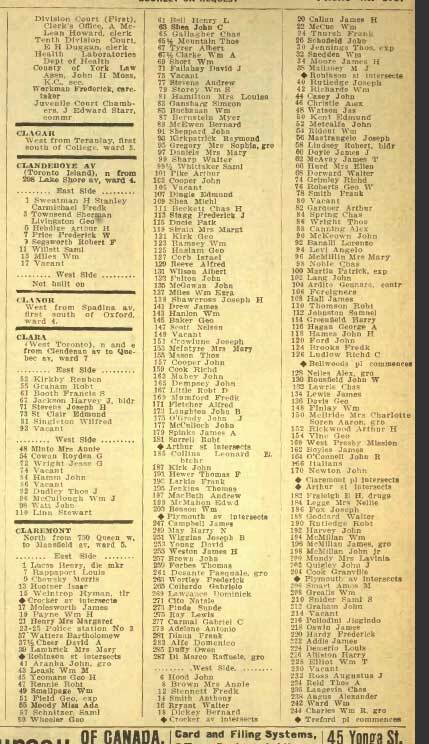 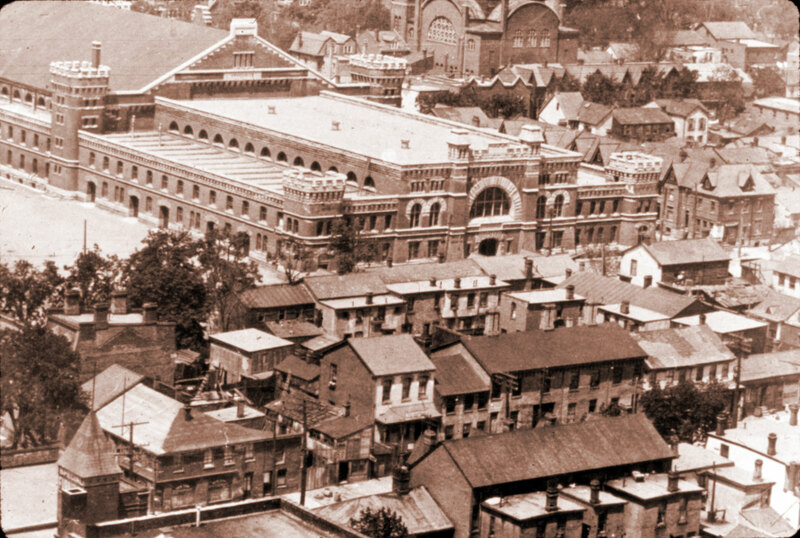 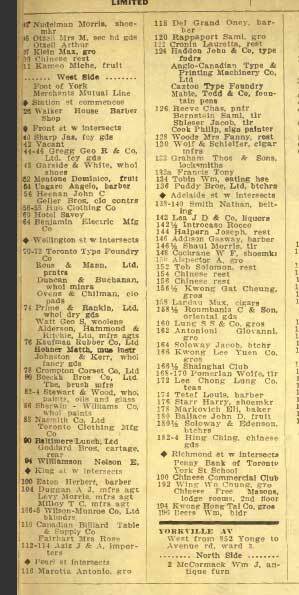 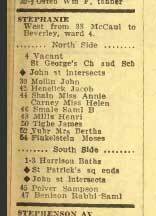 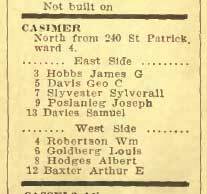 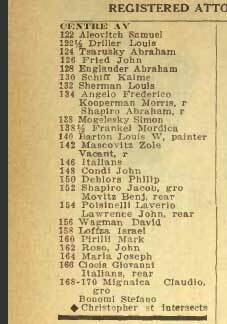 The Toronto city directories give us an extremely useful glimpse into the streets of the Ward, and document the high number of immigrant families they contained. 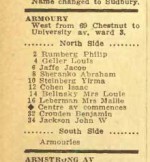 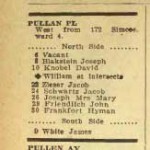 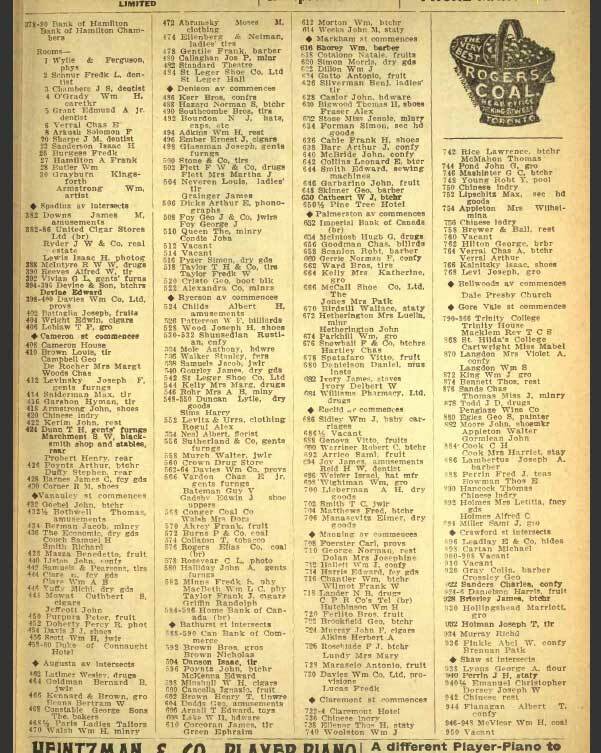 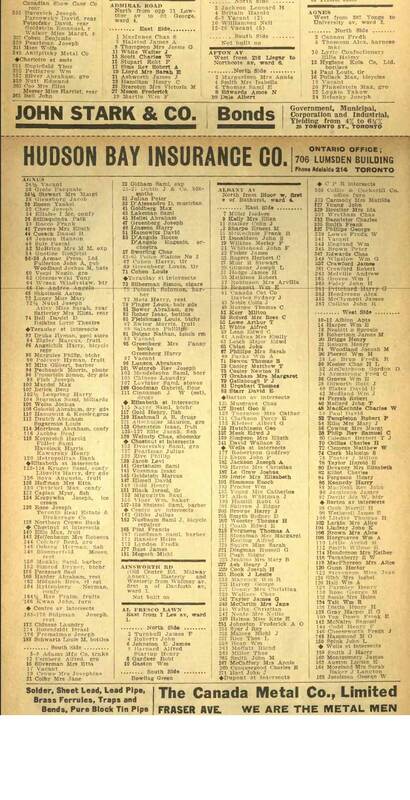 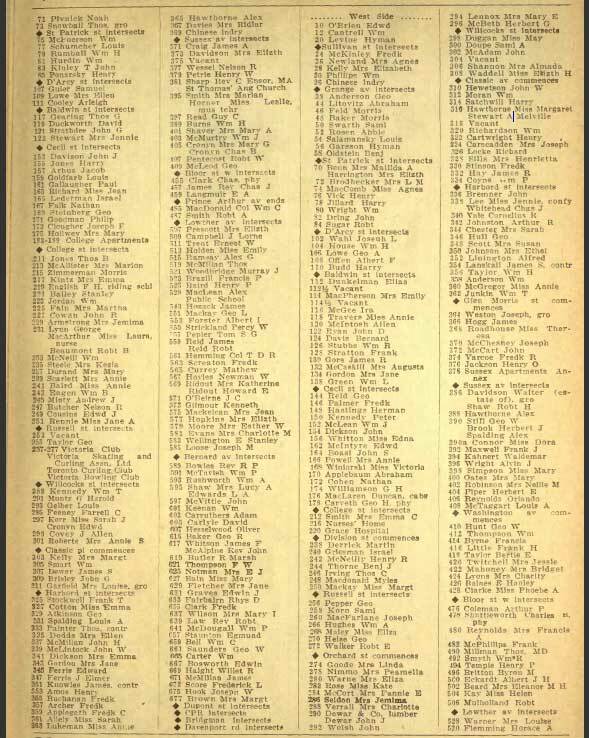 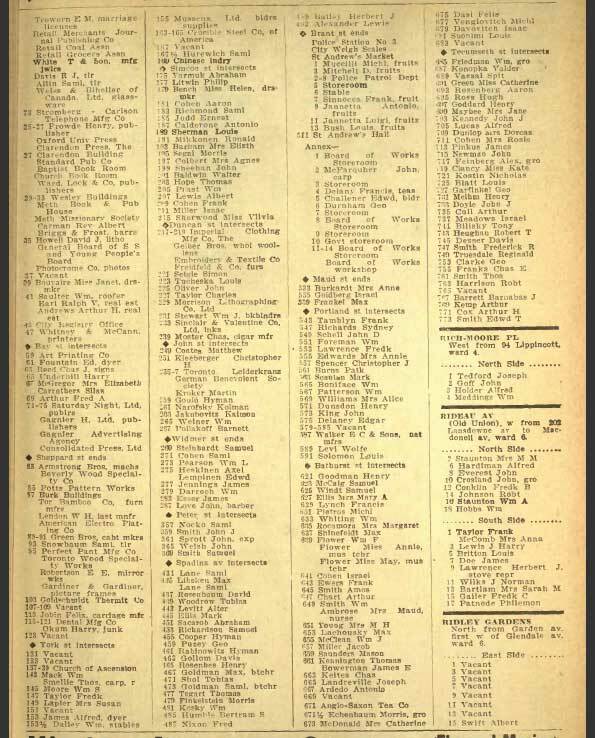 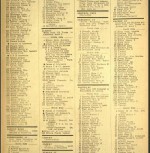 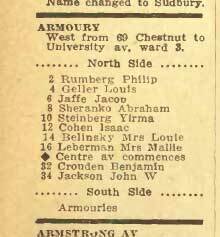 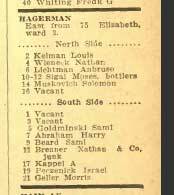 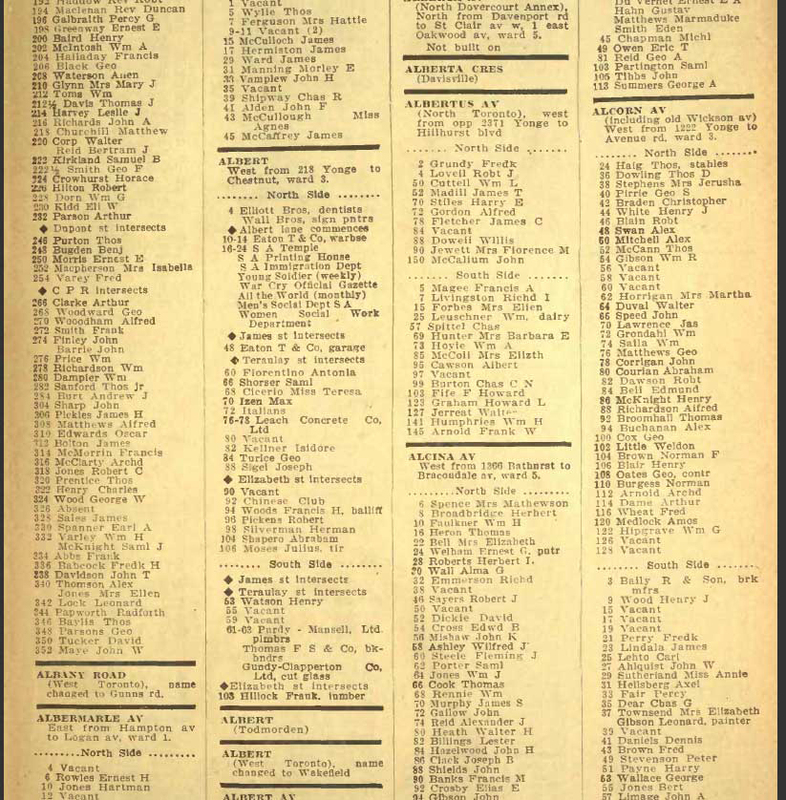 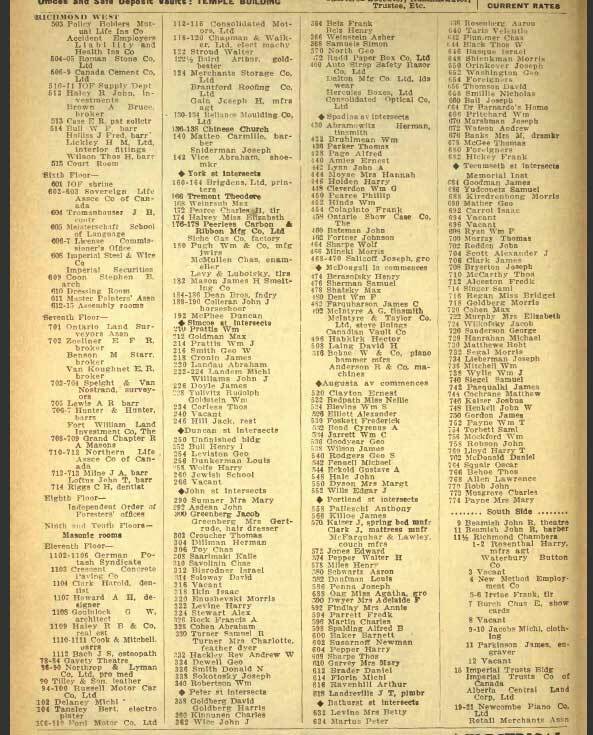 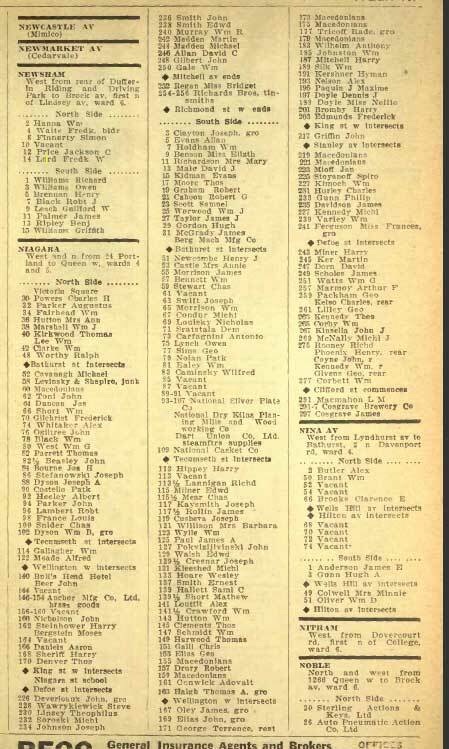 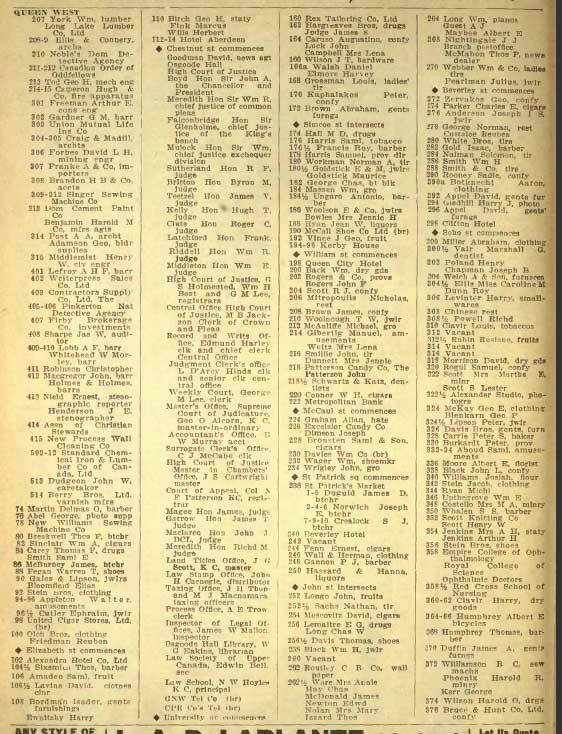 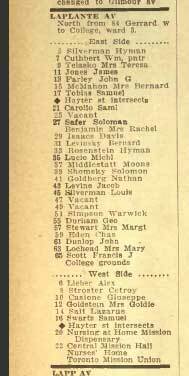 What follows are pages from the 1913 city directory showing the key streets on which Jews and other immigrants lived. 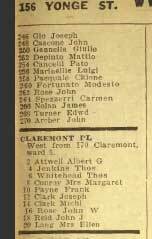 Most are in the “Ward” but there are a few “outliers” such as D’arcy and Claremont where the names seem predominantly Jewish. 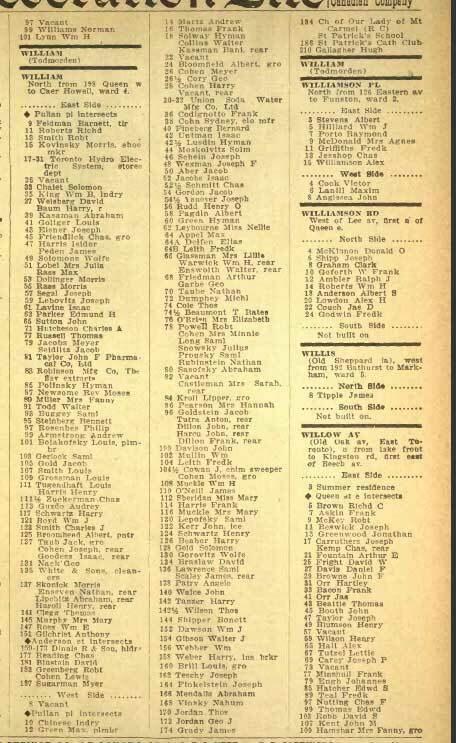 These pages are from the Might’s Directory of 1913; please refer to the original for additional information or for other streets. 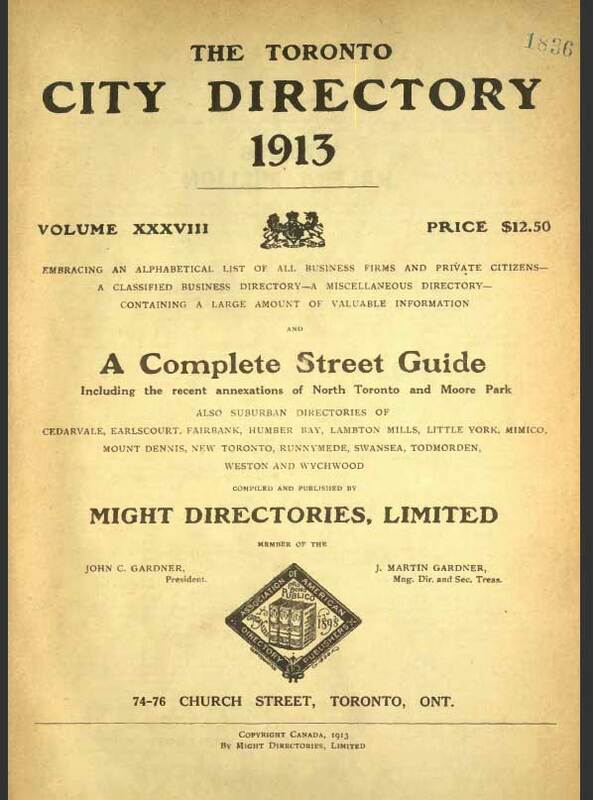 There is an excellent run of these directories on the 9th floor of Toronto’s Robarts Library; also try the main branch of the Metropolitan Toronto Reference Library, genealogy department. 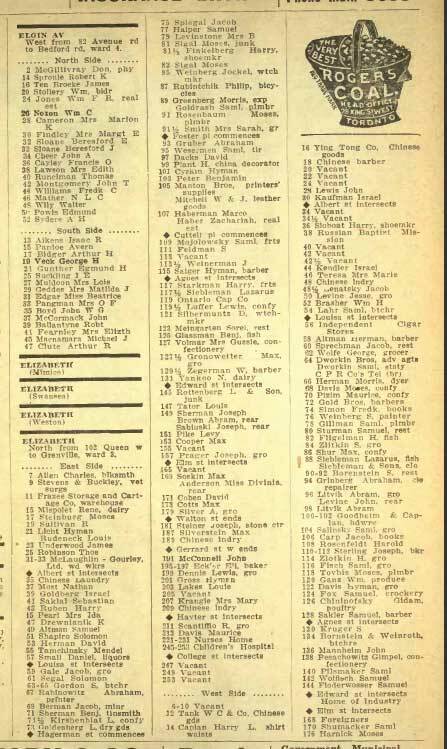 The pages are in alphabetical order and reflect the following content: Cover page, Agnes (later Dundas), Albert, Armoury, Augusta (2 pages), Baldwin (2), Barnaby Place, Buchanan, Cameron, Casimer, Centre (2), Chestnut (2), Claremont Place, Claremont, D’arcy (2), Draper, Edward, Elizabeth (2), Elm, Foster Place, Gerrard W (2), Grange (2), Hagerman, Huron (3), Kensington (2), Laplante, Louisa, Maria (Junction), McCaul (2), Nelson (2), Niagara, Phoebe, Portland, Pullan Place, Queen W (segment), Richmond W. (3), St. Andrew, St. Patrick Square, Stephanie, Teraulay (2), William, York (2).